Description: Colt LE6920 AR15 Semi-Auto Rifle Never Fired!!!! !The heart of this new carbine is its 16.1” chrome lined barrel. With a 1 in 7” twist, ammunition selection is virtually unlimited. 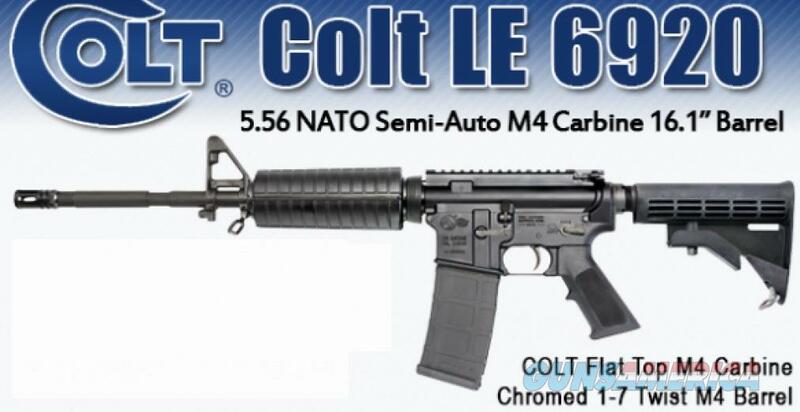 Colt-up Sight all come as standard equipment on this exceptional carbine. Comes with 5 brand new mags!